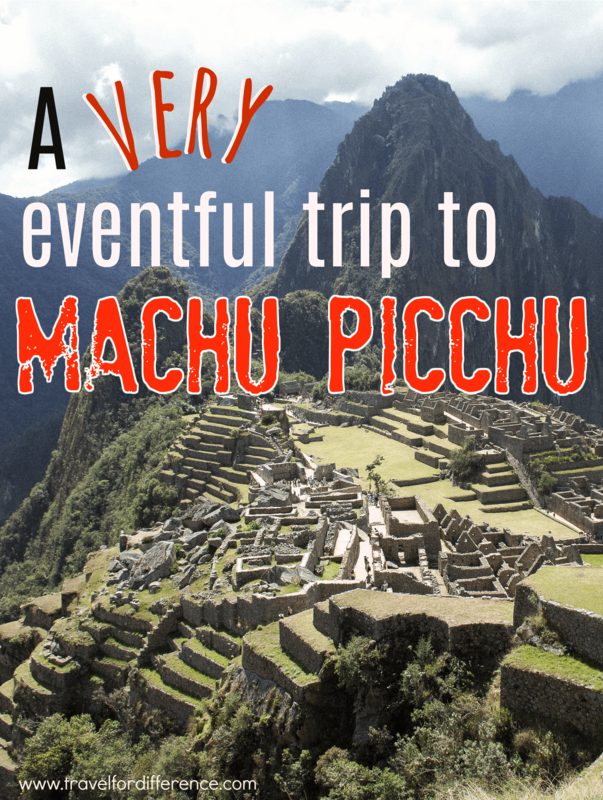 When I imagined my trip to Machu Picchu, I visioned travelling through the forest on a magical train journey, winding my way up a beautiful mountain and being greeted with a sight that would never leave my mind. And that’s exactly what happened… But with a little more chaos. The long string of difficulty actually began the day before our planned trip to Machu Picchu; at about 9 PM, the day before departure, an email was received informing us of a major re-schedule in regards to the departure station of our train. Instead of leaving from a station that was 20 minutes from our hotel, we instead had to leave from a station that was 1 hour and 45 minutes from our stay in Cusco. Yes, almost an hour and a half further by car – which was definitely not ideal. Extra money was instantly gone due to taxi fees, and a very early start was ahead. We left our hotel at 4.30 AM (instead of 6 might I add) and arrived at the small station of Ollantaytambo, situated in the Sacred Valley. On the drive, we realised that this major schedule change was due to a huge protest that was taking place in Cusco. 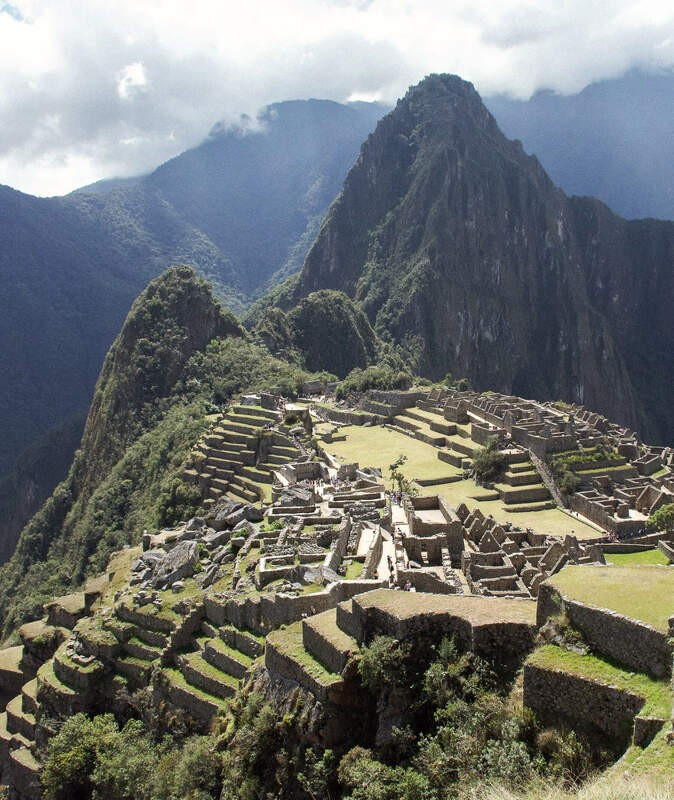 On this particular day that we had planned to visit the magnificent Machu Picchu, this major hold up that we encountered was due to a big teachers strike. Once arriving at our distant station, we quickly realised that our train had already been delayed – Now a 9.15 departure, and that 4 AM start was instantly not as necessary. To keep things on a positive note, once we actually made it onto the train, the journey through the forest really was beautiful; luscious scenery, Inca ruins and rugged mountains surrounded the tracks for the majority of the duration. It was amazing, and this particular journey was once again an hour and 45 minutes, but unlike the one prior, this was so very enjoyable. When finally arriving at the small village of Aguas Calientes, our first instinct was to buy the bus ticket and head to the top of the mountain. Thankfully there were no major delays and we were winding our way up the crazy road in no time. Stepping out of the bus to the magical view of Machu Picchu was something I’ll never forget. To see a place that looks so identical to the images that you’ve dreamt about is an incredible experience, to say the least. Everything from the views to the weather was utter perfection. We strolled around the ruins and admired the view for a good few hours – and it was not until we waited in the queue for the return bus trip, that the real drama officially started. A private tour guide was standing behind in the line and asked a simple question “Have you heard about the trains?” – An instant feeling of concern quickly washed over, especially as the protests back in Cusco were already on the back of our minds. The lovely local man, whilst consulting with a friend on the phone, regretfully told us that all trains had been cancelled. We were told that the protesters back in Cusco had ripped up the train tracks – and with photo evidence to prove it – meaning that the only way to get back home was to walk 2 hours along the tracks, and to organise a driver from Cusco to go to the furthest point in the road. 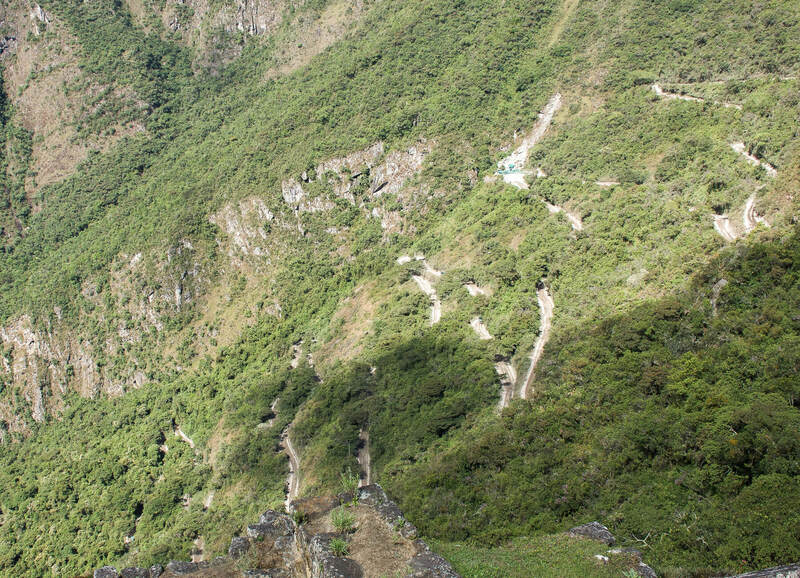 For those that have been to Machu Picchu, you will know that the only way to get to this part of Peru is via railway. Roads only travel to a certain point before going no further, and if we wanted to get home, this is where we were going to have to go. So as you can imagine, after walking around Machu Picchu, starting at 4.30 AM and being prone to major car sickness, the last thing I wanted to do was walk 2 hours into the middle of nowhere, wait 5 hours in the darkness of a secluded part of the rainforest, and sit in a car for 7 hours through the windy hills to get back home. Thankfully, after a small motion of panic, Peru Rail had made it clear that trains would eventually be coming… But with no certainty of the time – it could have been 6 pm, 8 pm, midnight or later. But luckily, we were assured that the trains would definitely be coming! Chaos had slightly resided and we managed to relax for a few hours; enjoying our time in Aguas Calientes until the sun had finally set. As time ticked on by, it became pretty clear that the trains were going to be very very delayed. The station’s waiting area was full… and I mean FULL of people – thousands in fact; some that had been waiting for over 6 hours for their train to arrive, some with desperate plans that night and some with extremely overtired children. People were agitated, to say the absolute least. Time slowly drifted further and further into the night, and by 11 pm, the 2 pm train was yet to have left. Passengers became savage (literally); bombarding the first train as it finally came into the station, becoming aggressive to the staff as if it were their fault, and becoming so crammed in the confined space that it was basically impossible to move. For some, the 6-hour wait slowly became 9 and things began to get very out of hand. Thankfully, the staff quietly assured everyone that all passengers would be leaving the station and no one was getting left behind – a little piece of positivity! But that sadly didn’t relax everyone. After hours and hours of waiting for our 6 pm train, we finally boarded at 12.30AM. Tired, exhausted and shivering in the 0ºC temperatures. The train was ice cold, filled to the brim with distressed travellers that were desperate to be somewhere warm. So instead of getting a free transfer, we were somehow forced to pay for a mini-van, which made me very car sick, and with little to no heating. We wound back through the sacred valley, dodging the boulders that had blocked the roads by the protesters, and we finally made it back to our hotel… At 4 AM the next day. A 23.5 hour, very exhausting day, but I am so thankful that we actually made it. During a time of complete chaos, the railway company had also informed all passengers that no trains would be running for the following 3 days due to the continuation of the protests. 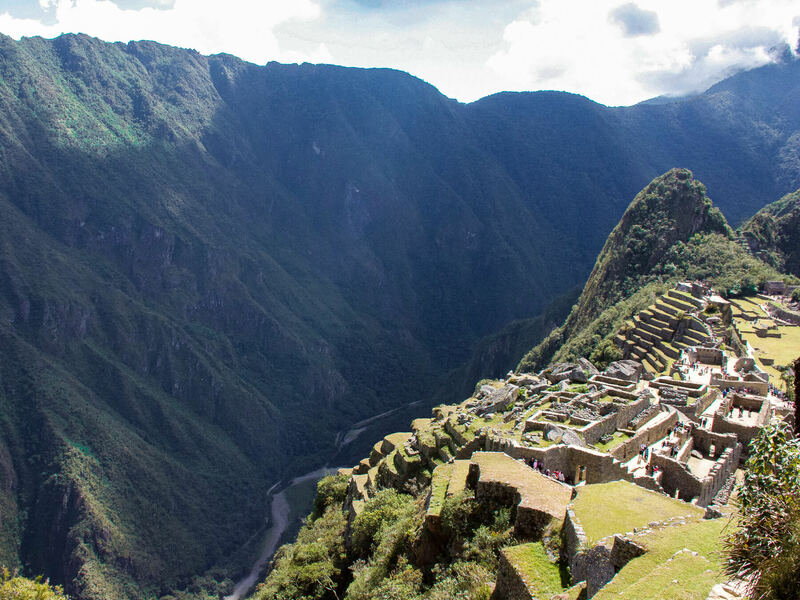 It was so devastating to see so many people in our hotel that had come all the way to Peru in order to see Machu Picchu, and their dreams had fallen short. All I can say is that this day was full of extreme highs and some pretty major lows. I can’t express how grateful I am to have been able to see this beautiful site, but when I say my trip to Machu Picchu was an adventure of a lifetime… I sure as hell mean it!